“The Night Stalker,” Ramirez raped, battered, shot and stabbed his victims during a bloody reign of terror in 1980’s Los Angeles. The first shooting occurred in the Pelham Bay area of the Bronx. Just after one o’clock on the morning of July 29, 1976, 18-year-old Donna Lauria and her friend Jody Valenti were sitting in Donna’s Oldsmobile. The girls had just returned from a local disco and were discussing their evening when Donna’s father stopped by the car and told her it was time to come inside. Donna said that she’d come up soon, but as she opened the door, she noticed a man quickly approaching the vehicle, a paper bag in his hand. “What is this?” she said, but she’d hardly spoken the words when the man suddenly produced a pistol from the bag. He dropped into a shooter’s stance with one elbow braced on his knee and the weapon held in both hands. Then he fired - his first shot hitting Donna in the head and killing her instantly, his second striking Jody in the thigh. Three more shots were fired before the killer turned and walked quickly away. Despite her injury, Jody scrambled from the car and screamed for help. Donna’s father heard the commotion and came running out of the apartment. In his pajamas and bare feet, he raced the car to the hospital, hoping to save his daughter’s life. It was too late. Three months after the senseless murder of Donna Lauria, 20-year-old Carl Denaro was attending a going away party at a bar in Queens. In a few days, he’d be joining the Air Force and he was enjoying his last days of civilian life by hanging out with his buddies. Also attending the get-together was Rosemary Keenan, a friend of Carl’s from college. After the party broke up at around 2:30, Carl drove with Rosemary back to Forest Hills Gardens, stopping outside her apartment to talk for a while. As they sat in the car, a man suddenly appeared beside the passenger window. He drew a gun and fired five times, hitting Carl in the head. Unhurt but terrified, Rosemary started the car and raced off, eventually bringing Carl to the hospital. He would survive the attack but would need a metal plate in his head to repair his shattered skull. The Denaro/Keenan shooting bore startling similarities to the Lauria/Valenti case, but because the crimes had occurred in different boroughs and were therefore investigated by different precincts, police did not yet see a pattern. That would change. Shortly after midnight, on the evening of November 26, 1976, 16-year-old Donna DeMasi and her 18-year-old friend, Joanne Lomino, were talking on Joanne’s porch, having just come home from a late night movie. As they spoke, a young man dressed in military fatigues approached them. “Do you know where…?” he started, as though about to ask for directions. He never finished the question. Instead he reached into his jacket and produced a gun, then fired two shots, hitting both girls. He then fired three more shots at the house before walking quickly away. The sound of gunfire, and the girls’ screams, brought the Lomino family running from the house where they found Joanne and Donna, gravely injured. They were rushed to hospital where surgeons fought to save them. Both girls survived. In Donna’s case, the bullet had passed right through her body, coming within a quarter inch of her spine. Joanne was not so lucky, the bullet shattered several vertebrae, rendering her a paraplegic. There were no further attacks through the holiday season and into the new year. Then, during the early hours of January 30, 1977, the killer struck again. Twenty-six-year-old Christine Freund and her fiancé John Diel had just been to a movie and were sitting in Diel’s car trying to decide what to do with the rest of their evening. At around 12:40 a.m. a man approached the passenger side of the vehicle and fired three shots. Diel drove off in panic, then headed for the nearest hospital when he saw that Christine had been hit. She’d suffered two bullet wounds to the head and died several hours later. Diel suffered only superficial injuries. He hadn’t seen the man who had fired at them. The murder of Christine Freund was assigned to NYPD Detective Sergeant Joe Coffey. Coffey, an experienced homicide investigator, feared that the murder may have been perpetrated by a psycho with a grudge against women. Following this line of enquiry he soon came across the details of the other shootings. Coffey then took his findings to his captain, Joe Borelli. A look at the ballistics proved that Coffey might be onto something. All of the bullets had been fired from a .44, and from a very unusual weapon at that, a Charter Arms Bulldog. With the realization that a serial shooter might be prowling the streets of New York, a task force was formed under Captain Borelli. The first public admission that the shootings might be related soon followed. But the killer wasn’t done yet, and for the next murder, he varied his M.O. At around 7:30 p.m. on March 8, 1977, 19-year-old Columbia University student, Virginia Voskerichian, was walking home from school. As she followed Dartmouth Street (just a block from where Christine Freund had been shot), a man approached, walking directly towards her. As the distance closed, he suddenly produced a gun. Virginia raised her textbooks in front of her face in a desperate and futile attempt to save herself. The bullet passed right through and struck her in the face, killing her instantly. As the killer fled the scene, he offered a chirpy, “Hi, mister,” to a middle-aged man who had witnessed the murder. A passing patrol car also spotted a running man. But when they heard on their radio that a woman had been shot, they raced to the scene to see if they could offer assistance. In the wake of the latest killings, the city of New York put more resources behind catching the killer. Deputy Inspector Timothy Dowd was appointed to head up a team of more than 300 officers dedicated to the task. It seemed the .44 Caliber Killer couldn’t possibly commit another murder without being caught. But he did. On April 17, 1977, a young couple were making out in their parked car near the Hutchinson River Parkway. Valentina Suriani was 18, an aspiring actress and model. Her boyfriend, 20-year-old Alexander Esau, was a tow truck operator. At around 3 a.m. on that Sunday morning, a car pulled up beside them, its driver leaning out and firing four shots, hitting each of them twice. Valentina died at the scene, Alexander a while later in the hospital. But this time there was something different. The killer had left behind a letter. Although the Daily News withheld portions of the letter (at the insistence of police), the reference to July 29 sparked panic in the city. July 29 would be the anniversary of the first shooting, the murder of Donna Lauria. Because all of the female victims thus far had had long, dark hair, hair salons were suddenly overwhelmed with requests for cuts and dye jobs. There was also a run on wigs, with many suppliers selling out. But the killer didn’t wait until July 29. He reappeared on June 26, shooting Sal Lupo, 20, and Judy Placido, 17, soon after they left the Elephas discotheque in the Bayside area of Queens. The young couple had been sitting in their car at about 3:00 a.m. when three gunshots were fired at them. Both were hit but suffered only minor injuries. Neither had seen their attacker. As the one-year anniversary of the first murder approached, police put a massive force of uniformed and plain-clothes officers on the street, focusing their efforts mainly on the killer’s usual hunting grounds of the Bronx and Queens. But the night passed without incident. When the Son of Sam reappeared two nights later, it was in Brooklyn. At about 2:30 on the morning of July 31, 1977, Stacy Moskowitz and Robert Violante, both 20, were sitting in Violante’s car, stopped under a streetlight near a park in the neighborhood of Bath Beach. While they sat kissing, a man approached and fired four shots, hitting both of them in the head before running off. The police were soon on the scene and rushed the victims to Coney Island Hospital from where they were airlifted to Kings County Hospital, which had more advanced facilities for dealing with head trauma. Despite the desperate efforts of surgeons to save her life, Stacy Moskowitz died hours later. Bobby Violante survived, but lost his left eye and had only 20 percent vision in his right. This time though, there’d been a number of witnesses to the crime and one of them, Cecelia Davis, would provide police with a vital clue. Around the time of the Moskowitz/Violante shooting, Davis had been walking her dog when she saw a parked car being ticketed. Moments later, a young man walked from the direction of the car and passed her by. She noticed something in his hand, a “dark object” as she described it. The way the man looked at her made her afraid. She hurried home, but a moment later heard shots fired from behind her. Davis had been terrified and had waited four days before coming forward. Now though, the police had a lead. They checked out all vehicles ticketed in the area that night. 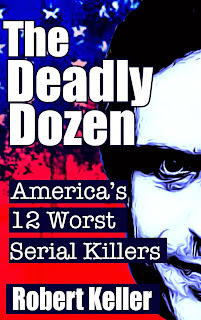 One of them was a 1970 Ford Galaxy owned by David Berkowitz. The NYPD would later state that they immediately considered Berkowitz the main suspect, but that is unlikely. Most probably they wanted to question him as a potential witness when they contacted the Yonkers police on August 9 and asked them to schedule an interview with Berkowitz. Yonkers PD had, in fact, already identified Berkowitz as a potential ‘Son of Sam’ suspect. They believed him to be the person behind a number of unusual crimes committed in their jurisdiction and thought he may have alluded to some of those crimes in the Son of Sam letters. The following day, August 10, 1977, police arrived outside Berkowitz’s apartment in Pine Street, Yonkers. Berkowitz’s yellow Ford Galaxy stood at the curb and officers noticed a rifle lying on the backseat. Inside the car, they found a duffel bag filled with ammunition, maps of the crime scenes, and a threatening letter addressed to Det. Sgt. Dowd of the Omega task force. Believing now that they had their man, officers decided to wait Berkowitz out, rather than go up to his apartment. In the meantime, they requested a warrant for the vehicle. The warrant hadn’t arrived yet when Berkowitz stepped from his apartment building onto the sidewalk. He walked towards his car carrying a paper bag. Detectives let him get into the vehicle before them moved in. The bag he was carrying contained his .44 Charter Arms Bulldog. “Well, you got me. How come it took you such a long time?” Berkowitz said. “Who have I got?” the arresting officer asked. “You know,” Berkowitz said coyly. 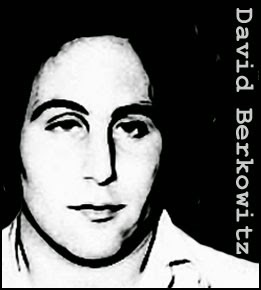 After his arrest, Berkowitz was held briefly in Yonkers before being transported to Police Headquarters in New York City where his interrogation began on August 11, 1977. After just 30 minutes of questioning, he confessed to all of the murders. He said that a demon in the form of his neighbor’s dog had instructed him to kill, demanding the blood of pretty young girls. The “Sam” mentioned in the letters was the dog’s owner, Sam Carr, who Berkowitz said was also a powerful demon. On June 12, 1978, David Berkowitz was sentenced to 25 years to life for each of the murders, to be served consecutively. During sentencing Berkowitz repeatedly chanted, in a voice just loud enough to hear, “Stacy was a whore”(referencing his last victim, Stacy Moskowitz). This behavior caused an uproar among Moskowitz’s relatives present in the courtroom and the trial eventually had to be adjourned to restore order. Berkowitz began serving his sentence at Sing Sing before transfer to the Clinton Correctional Facility and then to Attica, where he spent more than a decade. He is currently incarcerated at the Sullivan Correctional Facility in Fallsburg, New York. At a press conference in February 1979, he admitted that his claims of demonic possession were a hoax. His real motive for the murders was anger over his lack of success with women, which was why he specifically targeted attractive young females as his victims.